This year at Kew, we mark two bicentenaries. 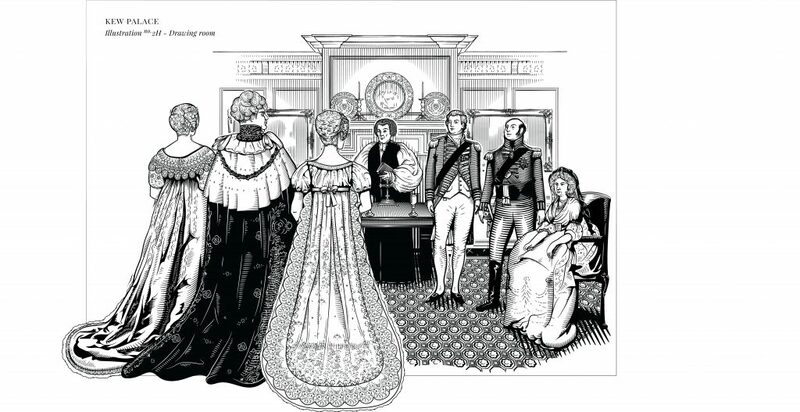 It’s 200 years since the death of Queen Charlotte in the Palace and it’s also 200 years since the double wedding of the Duke of Clarence (William IV) to Adelaide of Saxe-Meiningen and Edward Duke of Kent to Princess Victoria of Saxe-Coburg-Saalfeld on the 11th July 1818. By the standards of recent Royal Weddings the marriage at Kew was a rushed, cramped and rather sombre affair. Princess Charlotte, the only daughter of George, Prince Regent and future king, had died shortly after giving birth to a stillborn son. The line of succession was insecure. The Duke of Kent, and the Duke of Clarence ditched their mistresses and their illegitimate children and suitable yet hasty marriages to German, Protestant princesses were arranged. Edward, Duke of Kent had already married his bride, Princess Victoria, in a Lutheran service in Germany earlier on in the year. 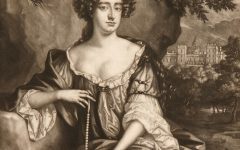 However, an official English ceremony needed to take place in front of Queen Charlotte, the King’s consort, and more importantly, enacted according to the auspices of the Church of England. King George III was confined in Windsor, too physically and mentally weak to perform this royal duty. 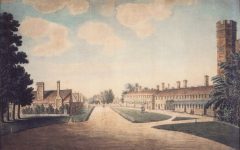 The small villa at Kew, which we now know as Kew Palace, was not an ideal place to hold a wedding, but Queen Charlotte, who was dying from dropsy, could not leave. The household made the best of it. 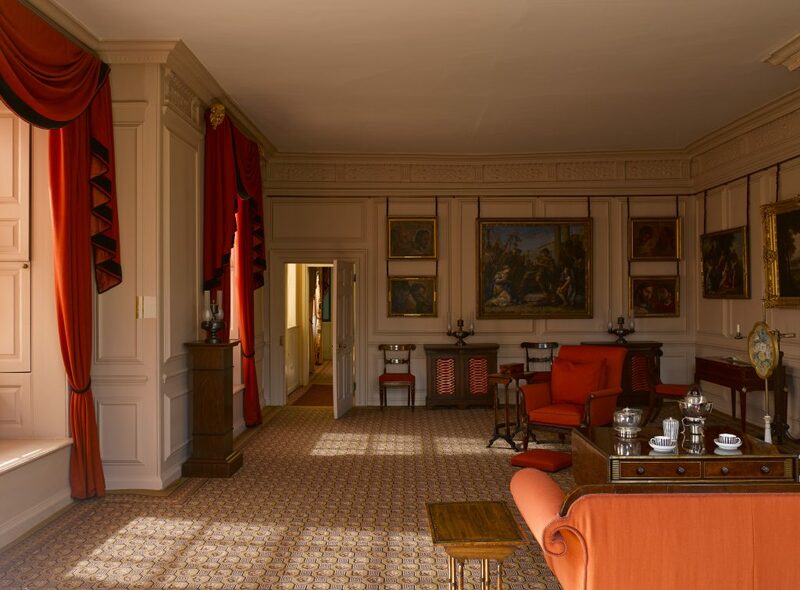 The long thin Drawing Room was turned into a temporary chapel. The royal upholsterers France and Banting erected a temporary altar at one end of the room. The canopy and kneelers were made of crimson velvet. 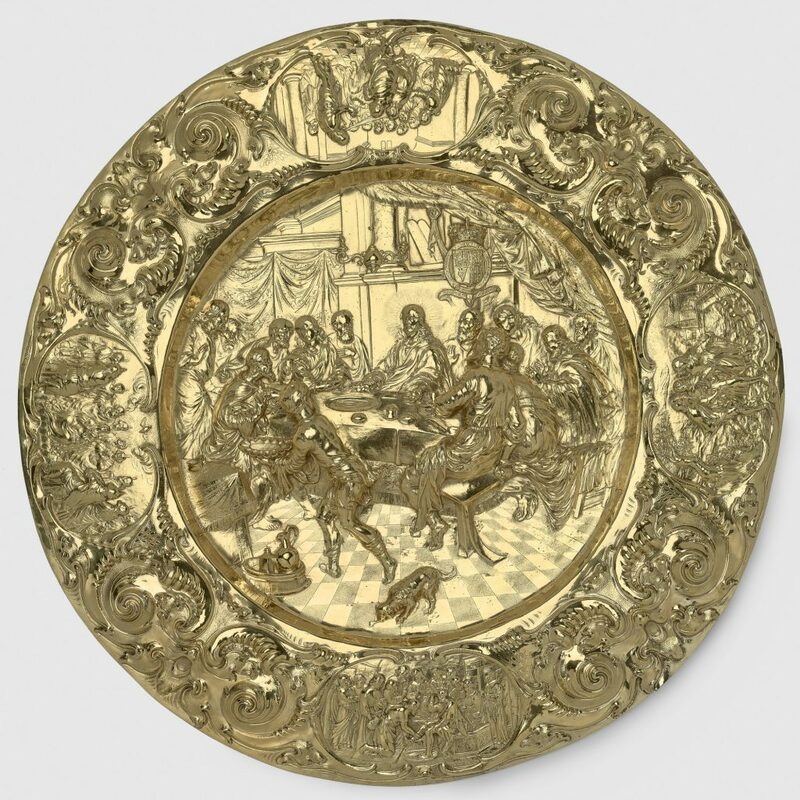 The most important chapel silver was brought over from the Tower of London, including the enormous alms dish made by Harry Greenaway at the coronation of Charles II. The two princesses were equally glamorous. 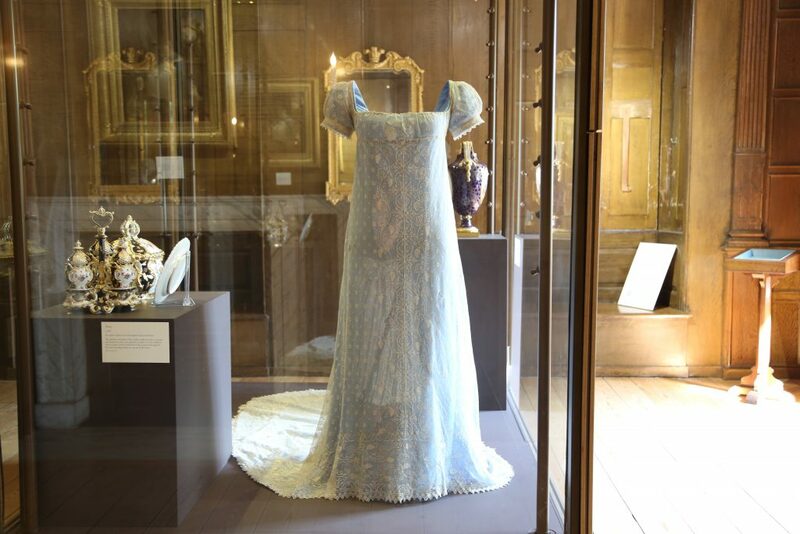 Princess Adelaide wore a dress made of silk woven with silver and trimmed with silver lace. Princess Victoria wore a similar dress but of gold. Both wore wreathes of diamonds in their hair. The grooms, though smart in their military and naval attire, were, by this date, rather portly, balding men well into their fifties. This year at Kew, this rare and fragile dress that belonged to Queen Charlotte has gone on display, on loan from the Fashion Museum, Bath. Its style is indicative of the type of dress Queen Charlotte would have would have worn to a royal occasion such as a wedding and its exquisite lace marks it out as belonging to a monarch. They were led to the temporary altar by Prince George. Only immediate family members and the highest-ranking government ministers attended the service. There is no official account of what happened after the wedding and the memoirs, and newspaper articles that recount the event tend to conflict with each other. 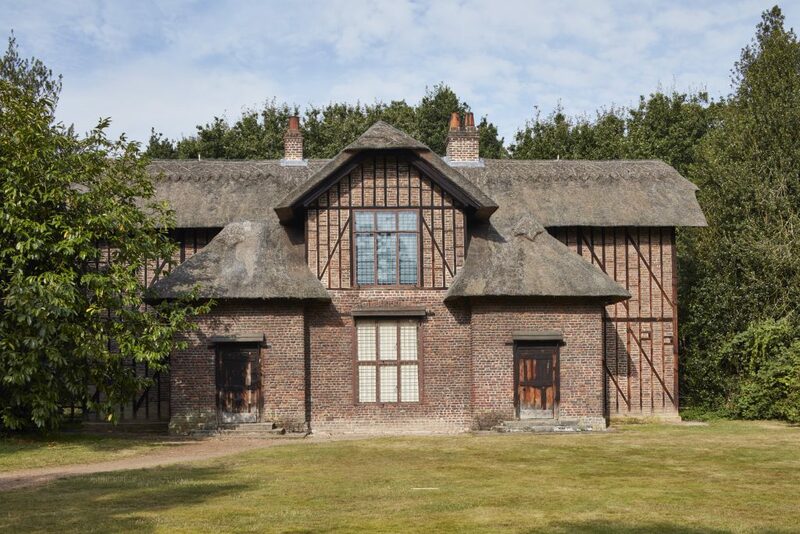 However, they all agree that after the ceremony, Adelaide and William, the newly wed Duke and Duchess of Clarence and the newly wed Duke and Duchess of Kent left the palace and Queen Charlotte’s cottage, near the Pagoda. There, they drank tea and enjoyed a good meal. Despite the distinctly ordinary wedding ceremony, both the marriages were successful ones. 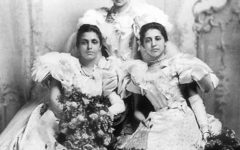 Each of the couples genuinely liked one another, which is very rare for arranged royal marriages. Their lives were marked by tragedy, however. William and Adelaide’s first daughter, born in 1819, lived only for a few hours, a few months later, their next pregnancy ended in a miscarriage; their second daughter lived for only a few months and then in 1822 Adelaide gave birth to stillborn twin sons. Edward died unexpectedly in 1820. Nonetheless, he had not departed this world without having performed his duty. Edward and Victoria had one child, named Alexandrina Victoria on the 24th of May 1819, who became Queen of Great Britain and whose reign spanned seventy years. This summer, come along to Queen Charlotte’s Cottage for the Great Georgian Wedding Weekend.